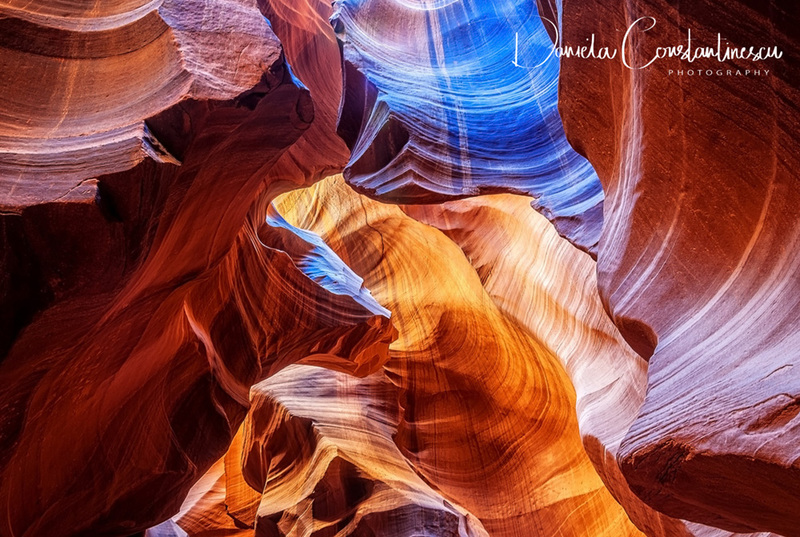 Image from Antelope Canyon that looks like an abstract painting. Flush flooding and rainwater carved the sandstone canyon walls in time into sculptural shapes. Canyonlands National Park, Utah, USA. A favorite location with photographers at sunrise, as the sunlight reflected on the underside of the arch it will make it positively glow red. Navajo Land, Page, Arizona. Flash flooding and rainwater carved the slot canyon sections in time, making the corridors deeper and smoothing hard edges in such a way as to form the `flowing shapes` in the rock. The beams of light come at different hours, making the place even more magical. 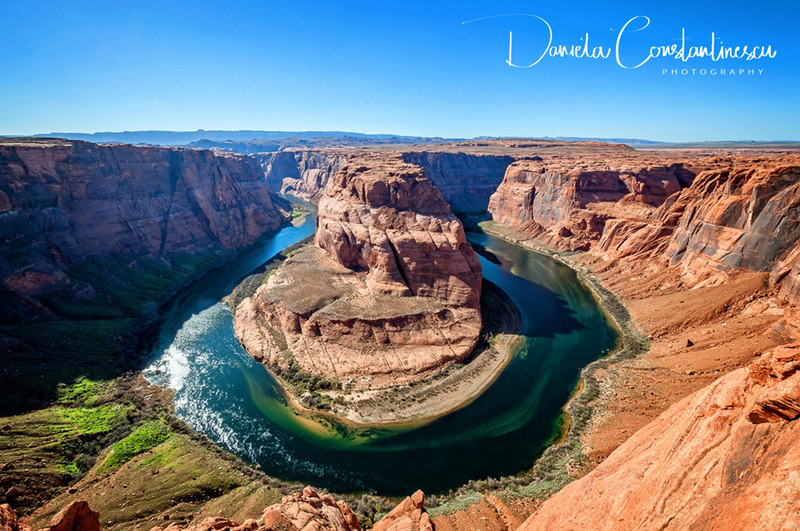 Photo taken from the edge of the cliff of the viewing point at the Horseshoe Bend, a meander of Colorado River near the town of Page, Grand Canyon, Arizona. I took this photo while walking the trail at Dead Horse Point. I thought it looked like a bonsai, but of course real life size. Stunning view looking up in Antelope Canyon, Arizona, United States.The reflected light from above is creating flowing patterns in the sandstone wall. Double Arch and adjacent monuments in Arches National Park, Moab, Utah, USA. Bordered by the Colorado River in the southeast, its known as the site of more than 2,000 natural sandstone arches. View of North Window seen from the Turret Arch with Moon rising in Arches National Park, Utah, USA. Flood and rainwater carved the slot canyon sections in time, making the corridors deeper and smoothing edges to form the 'flowing shapes' in the rock. Spectacular view in the morning at Mesa Arch - Canyonlands National Park, Utah, USA. Arches National Park, Moab, Utah, USA. Bordered by the Colorado River in the southeast, its known as the site of more than 2,000 natural sandstone arches.